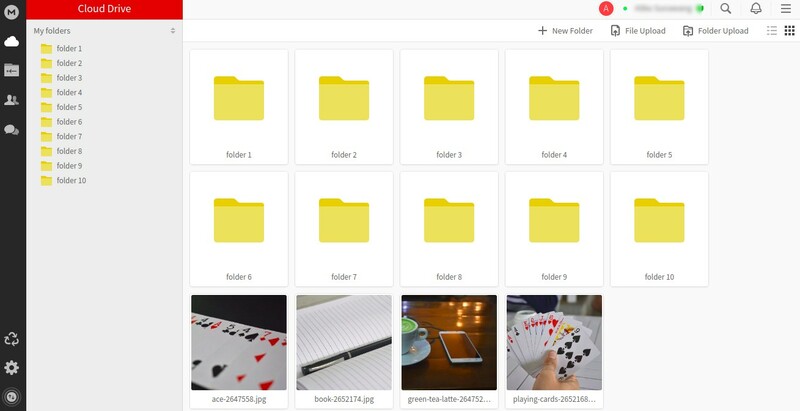 It’s easy to guess what’s on your mind when deciding to look for a Dropbox alternative. You must look for a cloud storage service that offer more free storage capacity. Don’t you? Regardless its popularity, Dropbox actually offers the least storage capacity for free account users compared to other similar services. New users of Dropbox with free account will only get a 2 GB of storage capacity. You can actually get more storage capacity on Dropbox for free. However, it takes hard effort to get it. On the other hand, there are similar services to Dropbox that offer more spacious storage capacity for free. Google Drive, one of Dropbox’s closest competitor gives you a 15 GB of free storage capacity, while OneDrive offers a 5 GB of free storage capacity. 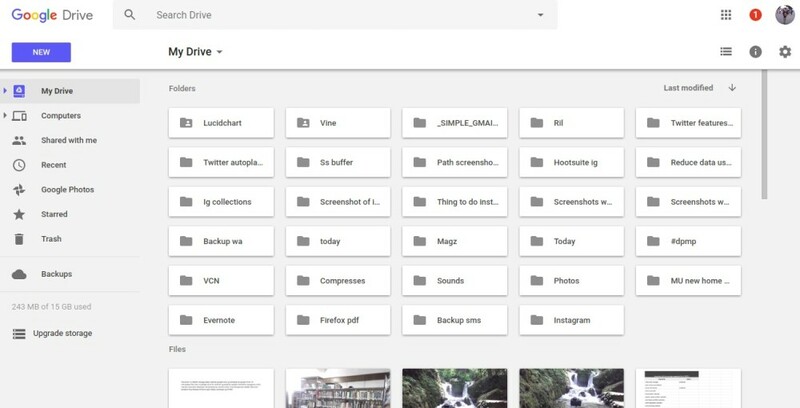 Google Drive and OneDrive are just examples. There are many other cloud storage services that offer more free storage capacity than Dropbox. Here is the list. If your intention of looking for a Dropbox alternative is for business then Box is the first option you need to try. We have compared Box and Dropbox in this article and came to a conclusion that Box is more recommended than Dropbox for both personal use (non-business) and business. In general, the features offered by both cloud storage services are not much different. They are great tools for online collaboration and offers a nice note-taking apps. The biggest difference is that Box offers more free storage capacity than Dropbox. It offers a 5 GB of free storage capacity for new users. Google Drive may not the best option for business, but if capacity is what you need then it is a better option than Dropbox (and also Box). Google Drive gives you a 15 GB of free storage capacity. That number is not purely for Google Drive, but also Gmail and Google Photos. Other advantage of Google Drive is it supports third party apps to enhance its functionality. For instance, if you need to extract a ZIP file, you can install ZIP Extractor so you can directly extract a ZIP file in Google Drive without having to download it first. We have also posted an article comparing Google Drive and Dropbox. If you are a Microsoft’s products user then OneDrive is the perfect complementary. You can integrate this cloud storage service with Microsoft’s products you probably use, Office 365 in particular. You can also directly create a new document using Microsoft Word online as well as spreadsheet and presentation. OneDrive also gives more free storage capacity than Dropbox. You will get a 5 GB of free storage capacity from OneDrive. Probably, one of the reasons why more people use Dropbox is because it provides client apps for three major desktop platforms; Windows, macOS and Linux. A client app is really helpful especially if you want to use a cloud storage as a backup medium. Same as Dropbox, pCloud Drive also provides client apps for Windows, macOS and Linux. The difference, pCloud Drive offers more free storage capacity than Dropbox. New users will get a 10 GB of free storage capacity. Other advantage, pCloud Drive has a built-in audio player to allow you playing your audio files stored on it. The interface pCloud Drive is also quite similar to Dropbox with a turquoise folder icon. pCloud Drive is also a great tool for online collaboration since you are allowed to invite people to join a folder or file. To be honest, OpenDrive is not a better option than Dropbox. However, if all you need is a more spacious free storage capacity instead of features then OpenDrive is worth-trying. This cloud storage service will give a 5 GB of free storage capacity. It also has a built-in document editor as well as spreadsheet editor and presentation editor. OpenDrive also offers a project management tool. Free users of OpenDrive only allowed to upload files with the maximum size of 100 MB. You also have a daily bandwidth limit of 1 GB/day. As the name suggests, sync is the mainstay feature offered by Sync. 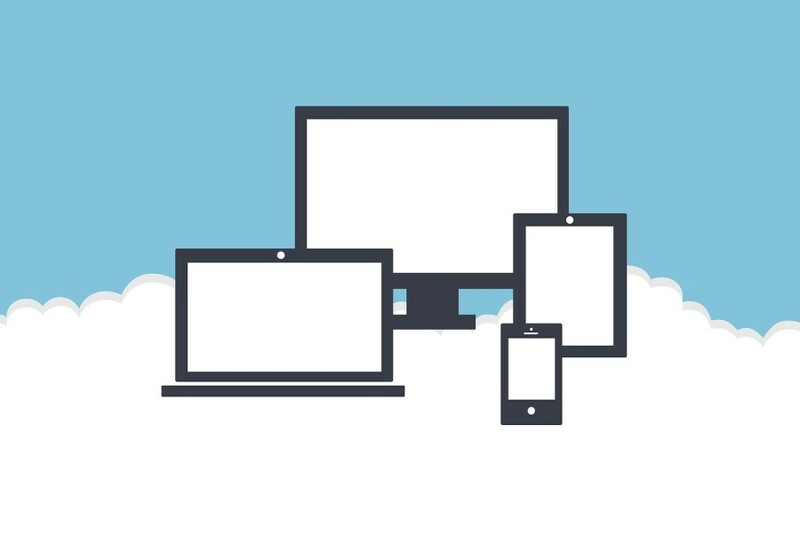 So, if you are looking for a cloud storage service to backup your files then Sync is a worth-trying item since you can effortlessly sync your files across devices by just installing the client apps on the platforms you have. With the exception of Linux, Sync is available for major platforms like Windows, macOS, Android and iOS. Sync gives you a 5 GB of free storage capacity. Meaning that you will be able to backup more files than you can do on Dropbox. The downside of Sync is it doesn’t come with supporting apps like Dropbox or Google Drive. MediaFire is also a nice cloud storage service for backing up your files since it offer a 10 GB of free storage capacity, five fold than Dropbox. Sadly, MediaFire doesn’t provide client app for desktop platform. It only provides mobile client apps for Android and iOS. The interface of MediaFire is quite similar to Dropbox with a turquoise folder icon. MediaFire doesn’t offer too many features. MediaFire offers some ways if you want to get more storage capacity. You will get rewarded 2 GB additional free storage if you are installing the MediaFire mobile app. You will also get rewarded 1 GB additional free storage capacity by just connecting your MediaFire account with Facebook and Twitter. Megaupload once become a favorite cloud storage service to save large files. After closed by United States Department of Justice in 2012, the founder of the service, Kim Dotcom re-developed the similar service with a new name called MEGA. Same as its predecessor, MEGA also allows you to store large files. MEGA gives you a 50 GB of free storage capacity. MEGA is probably the best Dropbox alternative for backing up your files. Not just because it offers an extra spacious free storage capacity, but also provides client apps for Linux, Windows, macOS, Android and iOS. Thus, you can sync your files on your devices to have an online backup of them. The focus of MEGA is providing cloud storage service. It doesn’t offers too many features like Dropbox. 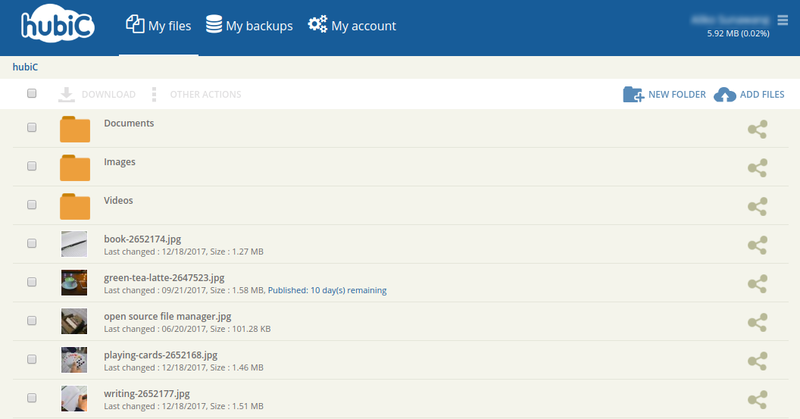 hubiC is also a great option if your intention of looking for a Dropbox alternative is as a backup medium. It offers a 25 GB of free storage capacity. But, it’s not the thing that makes hubiC a great backup medium. hubiC provides client apps for all major platforms from Windows, macOS, Linux, Android and iOS for easier file syncing. So, if you want to have an online backup of important files on, for instance Linux-based computer, you don’t have to manually upload those files. Just install the client app of hubiC on Linux and sync the files you want to have a backup of. hubiC is quite similar to MEGA. It focuses in providing cloud storage service and doesn’t have too many features. FlipDrive offers a 10 GB free storage capacity, allowing you to store more files than Dropbox. However, you are not allowed to store files larger than 25 MB so FlipDrive is not the best option if you plan to use your cloud storage account for backing up files with large size like ISO files of operating systems or videos. FlipDrive doesn’t also provide any client app so you have to manually upload your files to backup them. Yandex.Disk may be is not as popular as Dropbox or Google Drive. But, the features offered by this cloud storage provider are so much comparable to Dropbox’s and Google Drive’s. Yandex.Disk also comes with a collaboration capability. You can invite people to join certain folder or file. Yandex.Disk also provide client apps for Windows, macOS, Linux, Android and also iOS for easier file syncing for backup needs. You can also directly create document, spreadsheet and presentation. The free storage capacity you will get from Yandex.Disk is 10 GB. Hubic – the backup part is lousy. You can’t even delete backups, from within the app doesn’t sometime work and if you disconnect the app, it’s almost impossible delete from their website. Took like several weeks to delete it. Hubic is OK for storage but I switched to Deego for exact same reasons with backup. Deego gives me 600gb free storage and additional storage by watching ads.